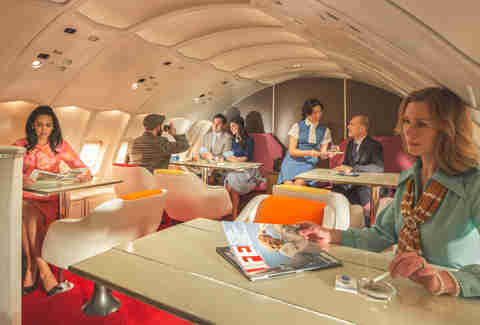 If the idea of re-enacting the glory days of air travel (but in a fake plane that never leaves the ground) appeals your sense of nostalgia for an era that you have no recollection of, well then, insert the metal belt fittings into one another and tighten by pulling on the loose end of the strap. 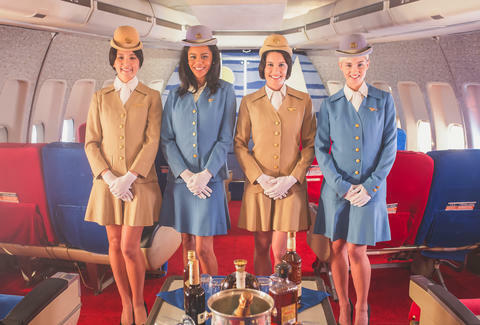 That's right, buckle up, because we're about to tell you about The Pan Am Experience: an immersive $297 dinner and movie event (set inside a perfectly recreated, 1970s Pan Am 747) that promises to recapture that aforementioned glamor. While the famous airline hasn’t existed for 23 years, some superfans are still weirdly obsessed with it. 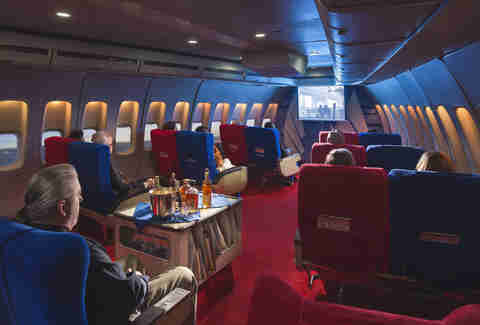 Enter: Air Hollywood, an LA film studio that specializes in building airplane movie sets, and cleverly capitalizes on the nostalgia by offering the monthly dinner event on one of its Pan Am sets. 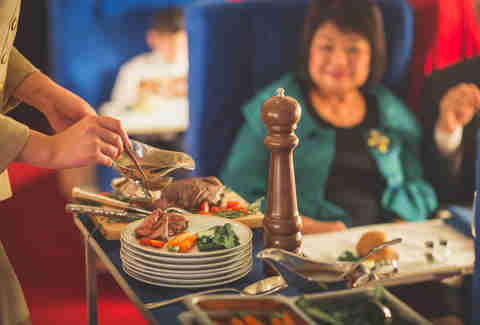 Yes, people are actually playing the price of a real plane ticket to a) go nowhere, and b) eat airline food. Oh yea, they also get to watch a movie. Goodie. 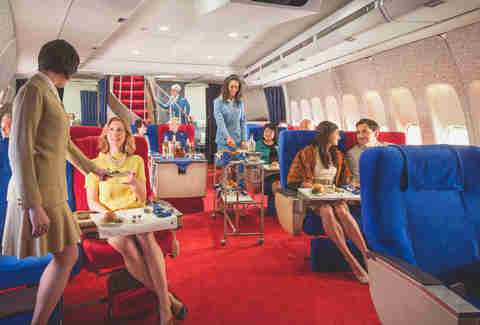 ​The experience includes a “beverage service” (during which cocktails are served by waitresses dressed in authentic 1970s Pan Am flight attendant uniforms), the aforementioned movie, and a four-course meal based on authentic First Class fare of the time served on equally authentic china. The evening lasts about four hours; time you could have used to, like, actually fly somewhere. That said, if fake air travel and expensive meals is your thing, get your tickets here. Sophie-Claire Hoeller is Thrillist's associate travel editor, and convinced she did something bad in a previous life that's cursed her to always fly within three rows of a screaming child. Follow her @Sohostyle.